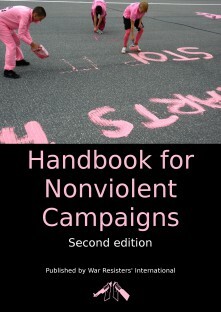 There is no definitive recipe for successful nonviolent actions and campaigns. This handbook, however, is a series of resources that can inspire and support your own work, especially if you adapt the resources to your own needs and context. For more information on organizing effective actions, check out our Nonviolent Action + Campaigns. 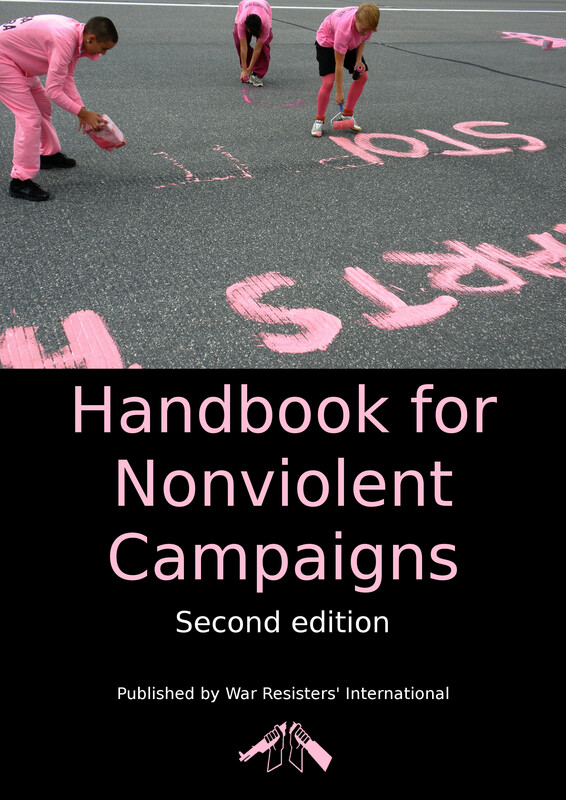 Organising effective nonviolent action - including dealing with fear, coping with the stress and strain of taking a stand, an activism in oppression regimes. Training & exercises - over 20 with clear instructions for facilitators. There is also a glossary, a DIY section and an extensive list of other resources. Spanish edition available through War Resisters International. Go to WRI's online bookstore to order.